We exist to awaken YOUR heart and mobilize a global community of empowered leaders to restore hope and transform lives through dentistry. 1. Billions of people worldwide live without HOPE due to intense pain and a shattered self-image from untreated dental disease with no access to quality, compassionate dental care. 2. Many dental professionals worldwide sense something missing from their lives and are looking for a calling to pour their lives into and lead real transformation. You can restore hope worldwide through the revolutionary Hope Smiles clinical model! Training the next generation of fearless dental leaders to reach billions of people globally. Will you be next? alike by matching talents with needs. Our work isn't only about teeth—it's about hearts. It is about transformation that restores hope. Most of all, it is about awakening hearts. Each person we have the privilege of treating has a story that matters. Together, we bring hope and peace to lives filled with pain and suffering! You can create more stories just like these! Without Hope Smiles, I would be very sad. I used to avoid spending time with people because I didn’t want them to see my teeth. I’m a happy person, but I was afraid to smile. 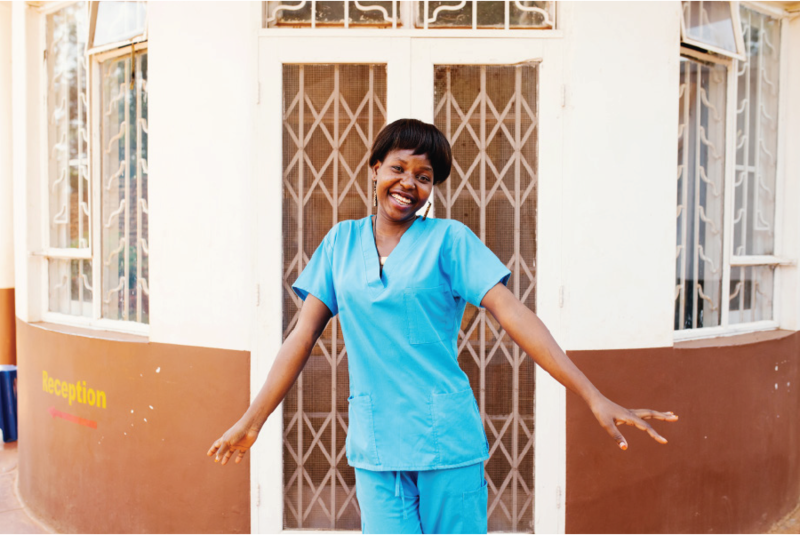 Follow along as the Hope Smiles team transforms lives daily. To close 2018, Hope Smiles is looking for 250 big-hearted visionaries worldwide to transform lives through dentistry by donating or raising $1000! Want to see the Hope Smiles clinical model up close? Come work alongside our teams in Haiti and Uganda in 2019! Add Hope To Your Inbox! We’ll never spam you. Pinky Promise! You're signed up! You'll receive updates about the countries where we work, future giving opportunities, and more. We love sending good news to your inbox! Follow Our Story on Instagram!